A new study published in the journal Atherosclerosis found that statin use is associated with a 52% increased prevalence and extent of coronary artery plaques possessing calcium. [i] This study, published on August 24th, was preceded only three weeks earlier by one in the journal Diabetes Care, which found that coronary artery calcification "was significantly higher in more frequent statin users than in less frequent users," among patients with type 2 diabetes and advanced atherosclerosis. 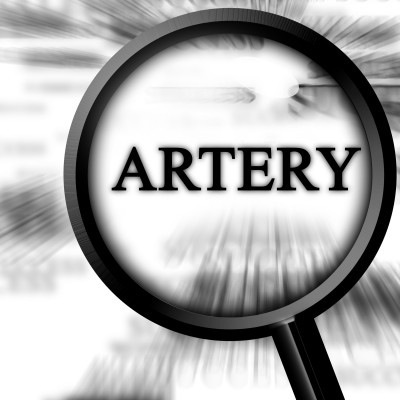 Coronary artery disease is one of the primary risk factors for heart attack and cardiac mortality, and calcification marks the end-stage of atherosclerosis, the gradual plaque-driven narrowing of the arteries, as the lumen (opening of the artery) can no longer compensate for the obstructive build-up of plaque by expanding, once the calcification process has taken place. Statins are increasingly recognized to have profound cardiotoxic properties, despite their widespread use in the prevention and treatment of heart disease. Statin drugs deplete the heart muscle of coenzyme Q10, a fundamental cofactor for mitochondrial energy production (the heart muscle cells have one of the highest mitochondrial densities (approximately 5,000 mitochondria per muscle cell, versus 50 for skeletal muscle), and therefore are most susceptible to statin-induced coenzyme Q10 depletion, and subsequent mitochondrial dysfunction. Statins increase the risk of type 2 diabetes, a condition whose hallmark pathology is high blood sugar-induced endothelial dysfunction, which is the beginning stage of cardiovascular disease, as it leads to damage in the arteries, only after which cholesterol-containing plaques form. Statin drugs are muscle-damaging (myotoxic) and nerve-damaging (neurotoxic). The heart is a highly innervated muscle (densely packed with nerves), indicating that statin drugs are uniquely toxic to heart tissue. Statin use is associated associated with an increased prevalence of microalbuminuria, a well-known marker of vascular dysfunction, affecting both cardiovascular and kidney disease risk. Unfortunately, cardiotoxicity is only the tip of a massive iceberg of statin-induced poisoning. There are over 300 known adverse health effects of statin drugs in the biomedical literature. Click the link to view the research on statin drug poisoning. For natural, evidence-based alternative to statin drugs, visit our biomedical archive on over 125 natural foods, spices and herbs with cholesterol-modulating properties. Also, take a look at Justin Smith's new documentary called Statin Nation, below. This page contains a single entry by sal published on December 4, 2012 10:33 AM. The Most Harmful Medical Intervention Is Done to All of Us was the previous entry in this blog. US Government Blocks Info that Vaccines Cause Autism is the next entry in this blog.